It may be a short week for Deadspin, but it's a big week for Minor League Baseball promotions ... so drop your pants and fire a rocket for Minor Enterprise. 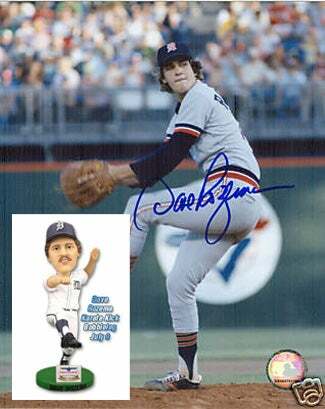 The glorious career of former pitcher Dave Rozema is studied and cherished by every drunkard, reprobate, fuckoff, ne're-do-well, rascal, rotter, tosspot, brawler, bounder, lout, louse, screwup, barfly, dipsomaniac, tippler and toker who ever followed the Detroit Tigers. And by many, many other baseball fans as well. This is a man whose exploits nearly defy description, both on the field and off. But for all of his deeds and misdeeds, the crowning moment came on May 14, 1982, during a benches-clearing brawl between the Tigers and Minneosta Twins.That's when, in the opening moments of the melee, Rozema charged from the dugout and attempted to deliver a flying karate kick to the body of the Twins' John Castino.